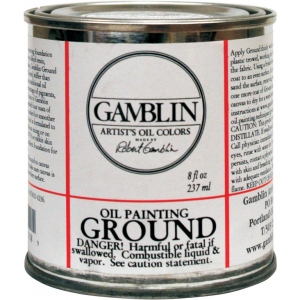 Bright white non-absorbent ground like a traditional oil ground creates a solid foundation for oil painting. 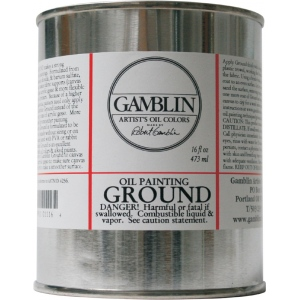 * Paintings made on non-absorbent grounds are brighter because the oil is retained in the paint layers rather than absorbed into the ground. 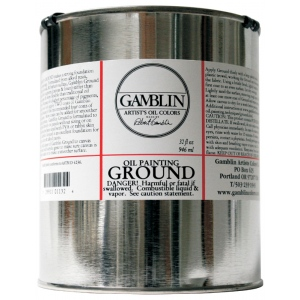 * Grounds make canvas and linen stiffer than acrylic gesso and more flexible than oil primers. * Surface is ready for paint application as soon as the surface is lightly sanded.